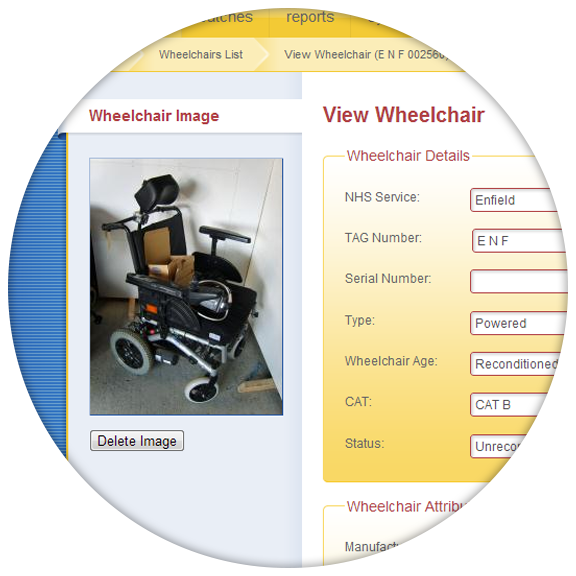 Providing a Highly Effective Online Stock System for NHS Wheelchair Services and Repair Contractors. Our online wheelchair stock system unlocks savings by minimising stock-holding costs and enabling live access to wheelchair stock records integrated with repair contractors, from any location 24/7. Launched in 2009, our system underpins the management of thousands of wheelchairs on a daily basis. 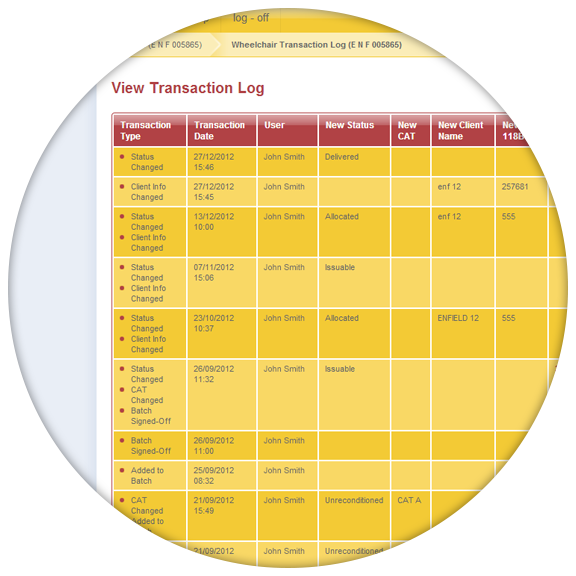 Move your wheelchair stock records online so you can easily view and search for wheelchairs and allocate them to clients online. 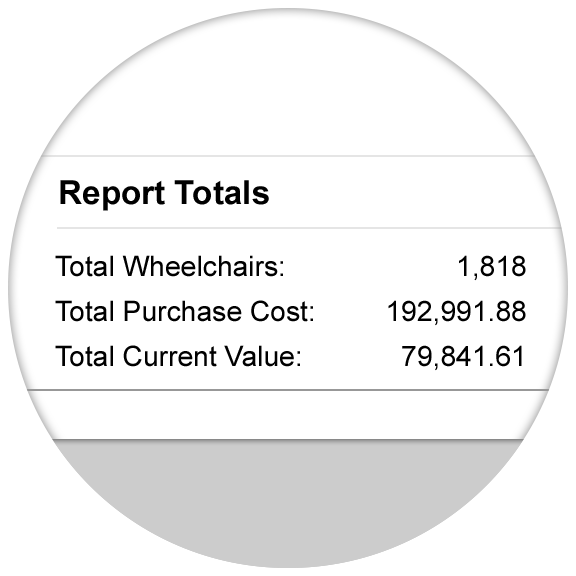 Make year-end a breeze with our valuation report, which calculates the value of your wheelchair stock based on your own configurable wheelchair depreciation settings. See which batch the wheelchair was in, when the batch was signed off, when it was allocated, when it was delivered and much more. Our software is used and trusted by NHS Wheelchair Services all across the country. I know I speak for the team when I say what an asset it is. We have used it since it was first made available to us and can’t fault it. It is accurate, reliable and is a great aid to stock taking. Therapist find the photos and list spec extremely helpful and with the additional resources soon to be available…cost of chairs and their depreciation worked out against you own required percentage it will be of even more value to the service. We currently use it in 3 of the WCS provided by CECS and it is soon, on our request, going to be used by the approved contractors in our other areas Cambridge and Peterborough.